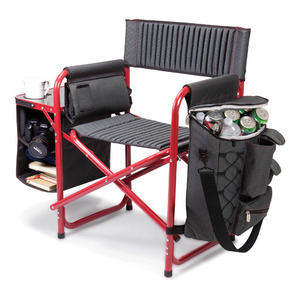 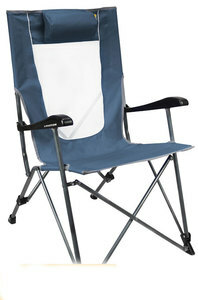 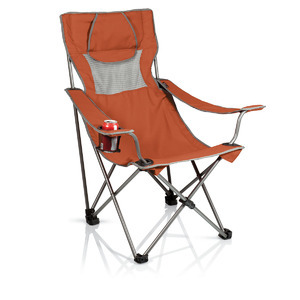 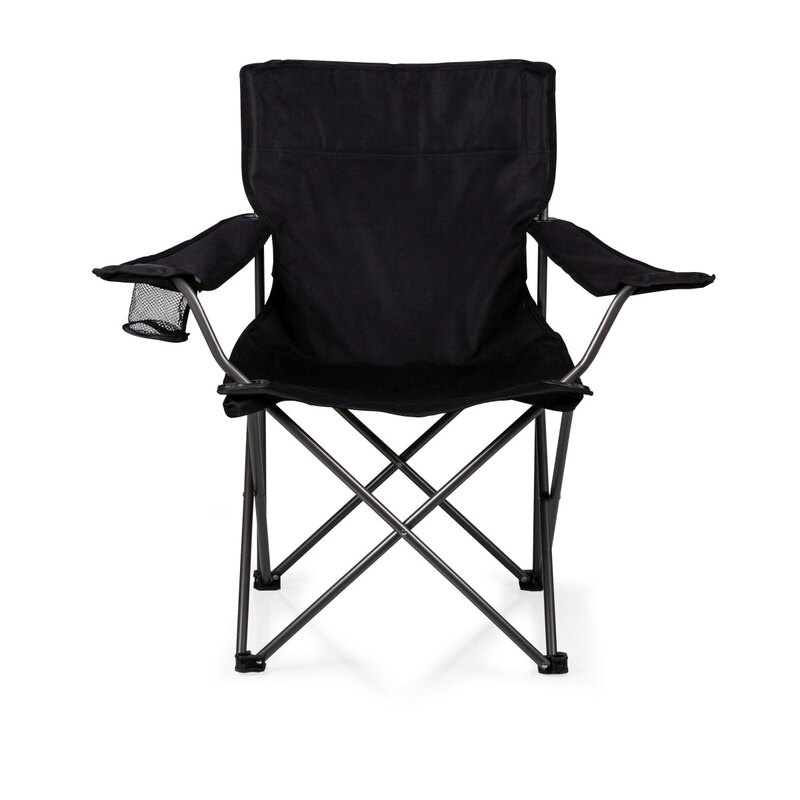 Folding camp chair with a mesh cup holder in the right armrest. 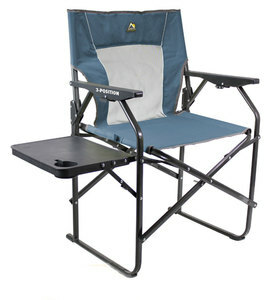 Made of 600D polyester with powder coated steel frame. 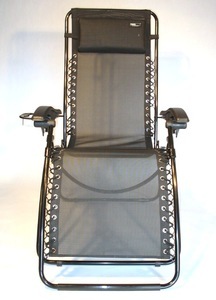 23" x 18" x 36"